World Health Organization (WHO) Regional Director for Africa, Dr Luis Sambo, has re-iterated his appeal to Member States to work with all stakeholders in order to ensure maximum coverage of the region with appropriate strategies to prevent and control tuberculosis (TB). "TB is curable and medicines are available with support of WHO and partners. It is therefore unacceptable that anyone should still be dying of TB today", Dr Sambo said in his message released in Brazzaville on the occasion of World TB to be observed on 24 March. He added: "Governments should employ innovative partnerships with all including civil society and the private sector...National [TB] programmes in collaboration with community-based organizations should ensure that all uncomplicated TB cases are successfully located in order to prevent the emergence of drug-resistant strains". The theme for this year's World TB Day is "Stop TB in my lifetime". Every year, an estimated 250,000 people in the African Region are killed by TB which, with access to medication, is curable. 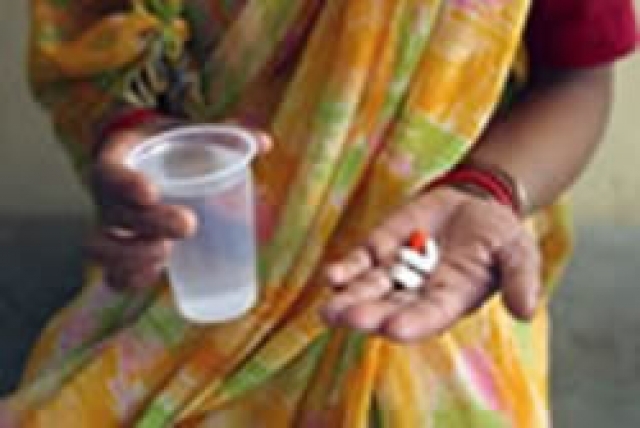 However, many people do not have access to medication, and even for those who do, a secondary issue could be multi-drug resistant TB (MDR TB) which does not respond to first line treatment, and extensively drug resistant TB (XDR-TB), which does not respond to first and second line treatments. By the end of 2011, MDR-TB had been reported in 42 countries in the African Region. Only 28 of these countries had national programmes to treat patients suffering from drug resistant strains of the disease. In order to address the issue of HIV and TB co-infection, Dr Sambo recommended that all persons living with HIV be screened for TB and given appropriate treatment if needed. "By putting proven strategies in practice to reach all exposed individuals we will be able to save millions of lives in the long run", he said. The TB epidemic in Africa is largely driven by poverty and the negative impact of high TB/HIV co-infection. Nearly half of all TB patients (46%) in the African Region are also infected with HIV, with only 42% of these accessing anti-retroviral treatments. The Regional Director then called for the systematic integration of TB control in the activities of community based organizations as well as the immunization of all children against TB to prevent TB in children . He stated that patients themselves had a crucial role to play in TB prevention and control by adhering to prescriptions by health professionals. Appealing for immediate action by all, Dr Sambo said:" In this context, I call on all Member States, health and development partners to dedicate adequate resources to fight TB and to champion the call to attain universal access to TB prevention and control services."